Prosthetic knees are designed for people who have amputations above their knee, and thus lack the knee joint and lower leg. In reality, you need more than just the knee. For one thing, you need a socket, the bucket-shell that encases your limb and attaches to the prosthetic knee joint on top. You also need something that attaches to the prosthetic knee joint on the bottom (a metal tube known as a pylon) and a prosthetic foot. All of these put together are known as a prosthetic “system” or prosthesis. Your prosthetic system will be unique to you and your needs. In general, there are two kinds of prosthetic knees: non-microprocessor (or “mechanical”) and microprocessor. Mechanical knees all use a mechanical hinge to replace your knee joint. How quickly or easily the hinge swings is often controlled by friction, some type of hydraulic system or a locking mechanism. All microprocessor controlled knees feature sensors, a microprocessor, software, a resistance system and a battery. The knee’s internal computer (microprocessor) controls an internal fluid, which may be hydraulic or pneumatic. The internal computer monitors each phase of your walking pattern (your “gait cycle”) using a series of sensors. The continuous monitoring and control of fluid allows the processor to make adjustments in resistance so you can walk more efficiently at various speeds and walk more safely down ramps and stairs. You may ask, why do I need “resistance” when I’m walking? If you think about what we call the gait cycle, it makes more sense. The gait cycle is divided into two major phases: stance phase and swing phase. The stance phase happens when your foot is on the ground, when you are applying weight to your leg. The swing phase is when your foot is in the air and swinging forward. When your foot is in contact with the ground, your leg normally flexes, or bends, sometimes even when you are standing still. The amount of flexion (bending) is relatively small – you don’t want your knee to buckle under you! The muscles of a biological leg are adding resistance, or support, to prevent buckling. When you take a step and put weight on your foot, your knee flexes a little, acting like a shock absorber. This is another time that your muscles are active to stabilize your knee. This also helps take stress off the rest of the body. When you are in swing phase (your leg swinging forward as you take a step), your knee is also flexed, or bent. But in this case you don’t need as much support or resistance, and in fact you want the knee to swing more freely when your foot is off the ground, so you can take that step forward. A microprocessor knee monitors where you are in your gait cycle, and adjusts for the support you need. Your microprocessor knee will be programmed to your gait (your prosthetist will do this after having you walk in your new knee system). Some knees will not vary from this programmed pattern until they are adjusted again. Ottobock knee systems, on the other hand, will make adjustments in support as you speed up or slow down in real time. Both the Genium and C-Leg also provide a high level of “stumble recovery” – they can sense when you have tripped or stumbled and will automatically increase resistance so you can catch yourself before you fall. 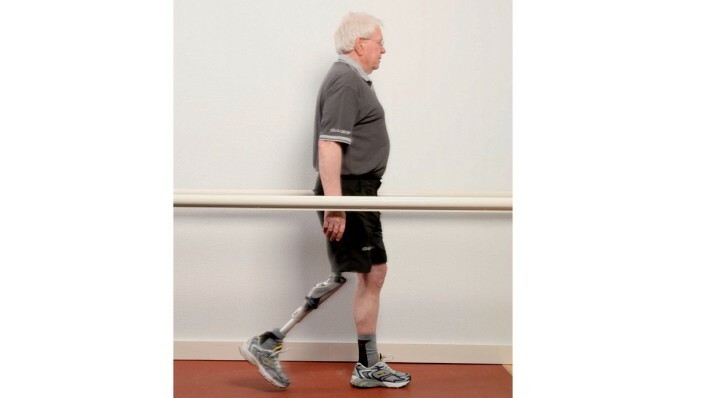 Fear of falling causes many people with lower limb amputations to compensate with changes in their walking style, like keeping their prosthetic knee straight with each step. Compensating motions for a stiff-knee gait create unnatural stresses in the ankle, hip, lower back and other leg that can result in long-term effects. When you receive a microprocessor knee, your physician usually prescribes additional therapy and gait training. If you have worn a mechanical knee for years, you may have to unlearn some compensating motions to achieve a smoother walking movement. All microprocessor knees have a weight limit. As the leading manufacturer of microprocessor controlled knees, Ottobock has had well over a decade of experience in this field. Over 40,000 Ottobock microprocessor knee systems have been sold worldwide since 1997. Combining research from our clinical scientists with amputees’ own experiences has allowed us to make continual advances in our prosthetic systems. Learn more about the Genium Above-Knee Prosthetic System. 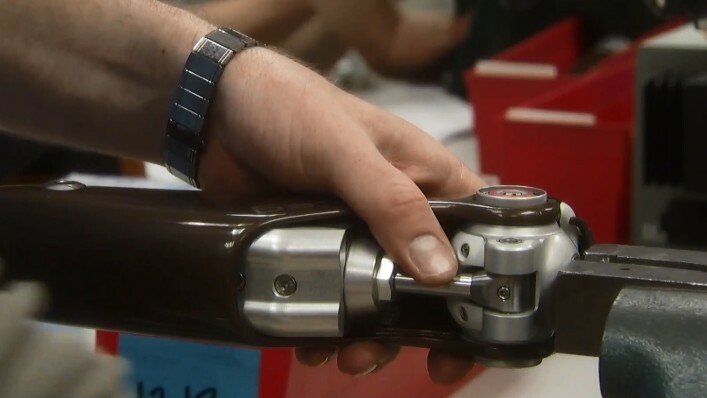 Learn more about the C-Leg Above-Knee Prosthetic System. Is a microprocessor knee system right for me? Most microprocessor knees can be used by people with amputation at the knee (knee disarticulation) and above the knee (transfemoral). They provide the same benefits to double amputees (bilateral limb deficiency) and people with an amputation at the hip (hip disarticulation). They also can be used by people with a hemipelvectomy amputation and good walking ability. Check each knee system to see their recommended “indications,” or ask your prosthetist. How do I choose a knee system? Selecting a computerized knee system depends largely on your individual activity level, age, health and lifestyle. Another factor to take into consideration is your walking pattern, or gait cycle. If you are more active, you may find that a microprocessor knee system is more suitable for your activity level, since it offers more assistance with assessing movement. 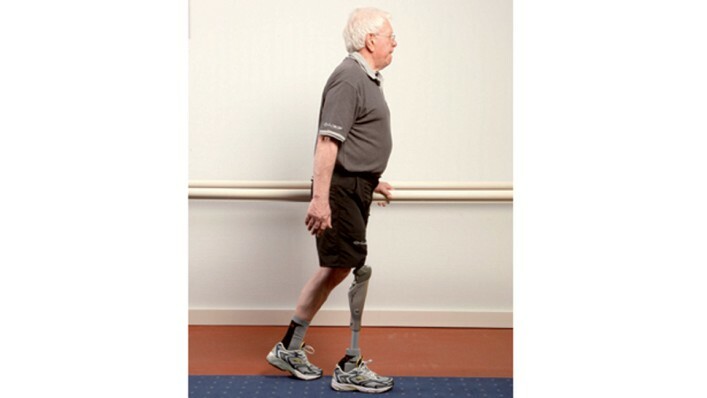 For others, the high level of stability (preventing falls) provided by C-Leg or Genium is also important. Your health care team will work closely with you to make the decision. How do I get the cost of a microprocessor knee system covered? Compared with mechanical knees, you’ll find that computerized knees may be more expensive, but they take less energy to operate, which can be a huge benefit. Higher stability/fewer falls can also be demonstrated as an important contributor to maintaining good health. There are many ways to cover the cost. Again, work with your health care team, and check out the Financial Coverage section of this website. Can I try out a microprocessor knee system before I buy it? You can absolutely try out an Ottobock Genium or C-Leg to see how it feels before making any commitment or decision. Even if you are not currently seeing a prosthetist, let us know, and we’ll help arrange for you to try an Ottobock microprocessor leg. If you want to try out a C-Leg to see how it feels, it’s easy to request a free, no-obligation try out -- click here to make the request.